A podcast for all the woo-woo spiritual girls, priestesses and lightworkers about living as love incarnate. We are the mystics, the seekers, the wisdom-keepers. We are the healers, the self-lovers, the boldly feminine, brilliantly open-wide movers and shakers. We want to live authentically in alignment with all that we know we are, and we aren’t afraid to go into the dark places to find the light. We believe in the power of presence and awakening during this time, and we know that our intuition is one of the most powerful gifts ever given to us. We are MysticGirls. Today I have the honor of interviewing Angel Quintana of the blog and magazine Holistic Fashionista. We talk all about her business journey, how she got into astrology, self love, fifth dimensional living and so much more! If you want to find out more about Angel and her business, find her on socials using the tag line @holisticfashionista or go to her website holisticfashionista.com. Hope you have an amazing week lovely and I will see you next week with another podcast episode! Hello my loves! Today we are getting into lunar cycles with the New Moon coming up in Scorpio and so many exciting things happening in this astrological season! I’ll be talking all about the cycles of the Moon, what the Full Moon and New Moon represent, rituals for both and my favorite app for tracking lunar cycles in this episode. Hope you enjoy and I hope you have an amazing New Moon this Wednesday! 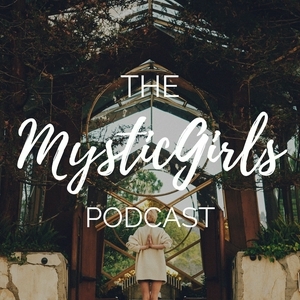 In this episode I will be talking about #MysticGirls, my new community name for this podcast as well as my Facebook group, where my content will be going in the future and what to expect, as well as what MysticGirl means to me. Thanks for listening and I hope you enjoy! Follow me on Pinterest, Facebook and Instagram @livesoulfullyfree and head to livesoulfullyfree.com to check out the blog. How to embody all of yourself, your deepest values and your deepest desires. Live your truth with confidence, honor, sacredness and so much more using these three steps. Have a beautiful day, gorgeous! PS-For any men listening to this, this is for you too. The Feminine beckons all of us to come home, to honor ourselves and our desires and to create the lives we long for. Don’t be afraid to step into yourself and come home to every part of you. You deserve to live your best life and you are doing amazing! Thank you for being on the forefront of the Feminine era! Today we're talking about change. I've recently been through a period of transition in my life and some chaos that has now calmed down, but today I share the lessons I learned, why I was MIA on the blog and how you can handle change from a place of intention and alignment. Check out the show for more details. Do you feel called to show up in your life for your callings and inner work? Do you want to create a shift in the world for more love? Heads up beautiful, it starts with you and it starts now. In today’s show I talk about how you can show up for your work authentically and how your work and inner callings can serve humanity. Together we can form a revolution and create the change we want to see in the world. It’s up to us as individuals and as a collective to choose love in all forms and become the people we so desperately want to be by showing up for our work authentically with love and so much self-compassion. So if you’re ready to show up for your inner work, have a listen to this episode and leave a comment below telling me how you’re showing up with love today. Thank you for listening beautiful and I hope you have a wonderful day! Love and light to you in your journey! In this episode, I share my tips for having more good days than bad and learning to choose joy in the everyday. We often use the phrase, "I'll be happy when..." but we skimp out on the endless opportunities for joy in the moment. If you want to learn how to wake up feeling happier and end your days thankful, listen to today's show for my techniques on living more good days than bad right where you are. Today I’ll be talking about my journey in the past month with alignment, joy and mindset work. Recently I’ve had some contrasting experiences, one of them being chronic pain, that has taught me a lot about inner peace. I’ll be honest, I’ve gotten out of alignment a lot recently and that's okay, I’m learning how to have compassion for myself. On the other hand, I have had some amazing alignment in different areas of my life, one of them being career, and it’s been eye opening to see how my work and it’s impact has changed thanks to my new vibration towards it. I share all of that and more in today’s episode, so have a listen and enjoy, gorgeous! Abbey talks about her current journey with comparison and alignment, sharing what she's doing moving forward to deal with the comparison trap in her own life and how you can too. In this episode you’ll find out how I’m learning to live joyfully in spite of chronic pain and how I am learning to deal with it from a place of joy and love. I share my strategies and more in the episode, so go have a listen. If you want to come and find me on socials, my handle is @livesoulfullyfree on Instagram and Pinterest and of course my website, livesoulfullyfree.com. Live with joy, ease and grace. 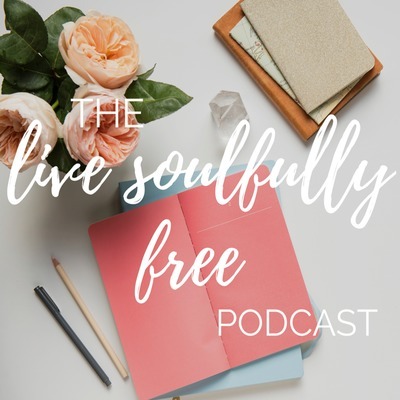 In this episode, I’m sharing my journey with living with ease and grace, how I’ve learned to let go of fear and step into love, and my daily alignment practices for a more joy-filled day. Also, my dogs weigh in part way through the episode (😂 perfectly imperfect) and I share how I’ve been embracing imperfection and vulnerability. Hey beautiful! I'm Abbey, a lifestyle blogger and soul-based entrepreneur. Here I'm sharing my own journey with joy-filled living and spirituality as I learn to live with more freedom and wholehearted joy. I hope it inspires you on your own journey!